This is a rare opportunity to purchase a true late model Riviera 38. "Aquabar" is a 2009 launched Riviera 38' with the impressive up-spec Cummins 5.9L 450HP diesel engines. The addition of the higher rated engines gives her an exciting sprint speed of over 30 knots! 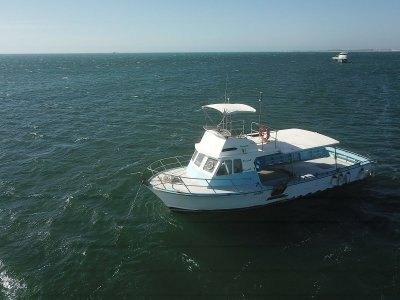 However, back the throttle off and that extra horsepower delivers a seriously economical cruise speed of 18-22 knots. Highly maintained to impress the most discerning purchaser, she still presents like a new boat 10 years on! 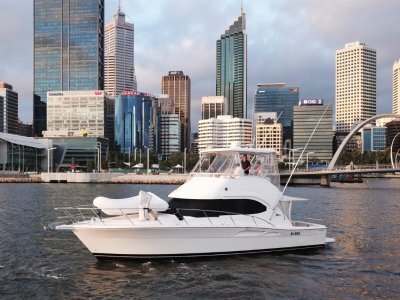 This particular model was delivered with a great specification throughout, including full teak cockpit, Raymarine electronics package, upgraded interior décor, upgraded engine power, Vitrifrigo flybridge bar fridge... The list goes on. 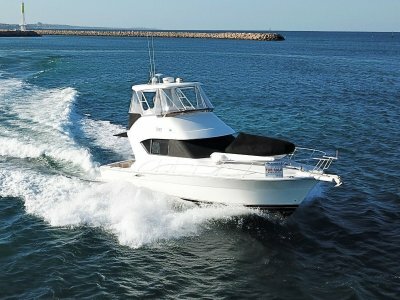 The forward cabin configuration makes getting in and out of bed an effortless task by utilising a raised island style. A suitably sized guest cabin to starboard has two decent sized singles, plus the lounge in the saloon converts to another double. The galley is well appointed and spacious enough for two cooks. The flybridge is incredibly tidy with tinted Stratoglass clears in perfect condition. 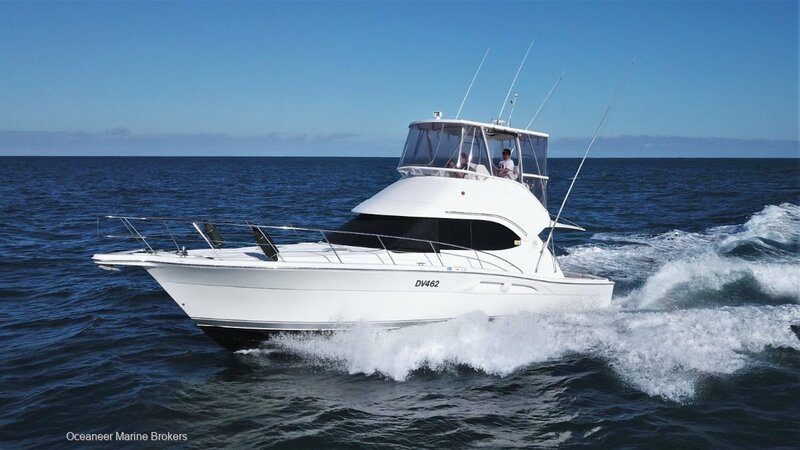 Raymarine navigation, sounder and autopilot are all at the reach of the high-backed helm chairs. 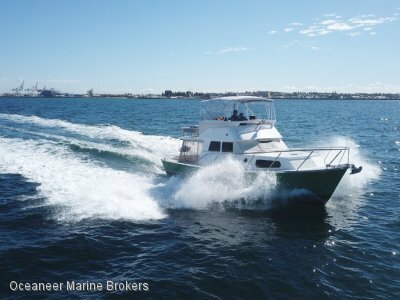 Cummin's brilliant electronic throttle controller makes manouevreing the little Riviera a breeze and no thrusters are required! Get on board the perfect family vessel well before the end of Summer and kick back whilst enjoying your favourite bottle of bubbly in your preferred bay at Rottnest. Please call Oceaneer Marine for more details, experienced advice on interstate shipping can be provided. Well appointed galley forwards of saloon. Muir anchor winch, Plough anchor, all chain. Raymarine E120 Navigation, Plotter, Sounder, Raymarine Autopilot, Chain counter, Cummins Smart Craft displays. You will not find a tidier 2009 Riviera 38 for sale! Interstate buyers encouraged!